The Indian cricket team was very convincing in its performance in the recently-concluded ODI and T20I series against Australia. 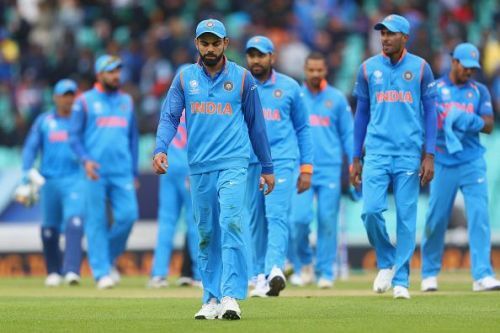 India, the better team through the series, was able to capitalize on crucial situations and were able to make Australia look weaker than they actually are. The entire credit for this dominant display should be given to the team management and the players for executing their plans to utmost perfection. Barring the one defeat each in both the series, there were a number of positives for the Virat Kohli-led team. The most prominent of those was the emergence of the spin-duo of Kuldeep Yadav and Yuzhvendra Chahal, who have been strong replacements for the likes of Ravichandran Ashwin and Ravindra Jadeja. Post the Champions Trophy that concluded in June this year, India went on two full-fledged away tours of West Indies and Sri Lanka. Then followed the Australia series. To the surprise of many, India sent their full strength squad to the Carribean Islands, to face a hapless West Indian unit. Players like Virat Kohli, MS Dhoni and Rohit Sharma could've also been rested by the selectors after India won the ODI series against Australia, more so after considering the long stretch of home matches that is to follow. Avoiding player-burnout is extremely crucial. The players sitting on the bench also need to get regular match practice. Someone like KL Rahul could have benefited by playing in home conditions, especially after his disappointing tour of Sri Lanka, where he succumbed to the spin of Akila Dananjaya repeatedly. Mohammed Shami and Umesh Yadav were also underplayed. The tendency to tinker around with the winning combination is not common in cricket. However, India should still keep the upcoming series in perspective and try to test their bench strength further.